Blurb Description: Witness the private life of the world’s most beautiful animals. You know exactly who they are. The ones who walk right past club lines, who get what they want before they ask for it. It’s a familiar cast: the centre of attention, the shameless flirt, the loudmouth, the narcissistic writer. You’ve seen them all. You’ve felt their Gucci-anointed aura. Laughing and dancing. Kissing the wrong people at the wrong time. Swaying to their own beat. Going out every night they’re sad. Finding solace in the crowd in a city paved with mildly good intentions and cocaine lines. A city of smooth talkers, armchair activists, and the rich brats of Instagram. A place to talk pop spirituality and purple prose in connoisseur-only jazz clubs. 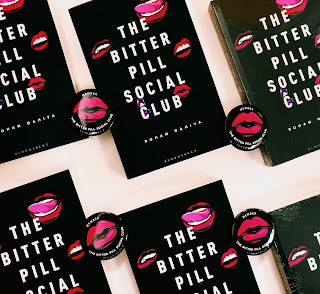 The Bitter Pill Social Club takes a look at the lives of the Kochhar family, who find themselves drifting apart in the city of djinns, gins, and fake friends wrapped up in cigarette smoke. As one of their own gears up to tie the knot, three siblings come home to the neurotic parents who raised them. Meanwhile the parents face the family patriarch’s constant judgment. Divorce, disappointment, and disasters ensue as the entitled Kochhar brood dodges old lovers and marriage proposals. It usually take a while for me to get into a book and then, as I move in further, start falling further and further in love. Or hate, depending on each individual book. Surprisingly, the opposite was the case for The Bitter Pill Social Club. All it took was the first of its many hilariously ludicrous chapters and I was laughing and basically HOOKED to the book. 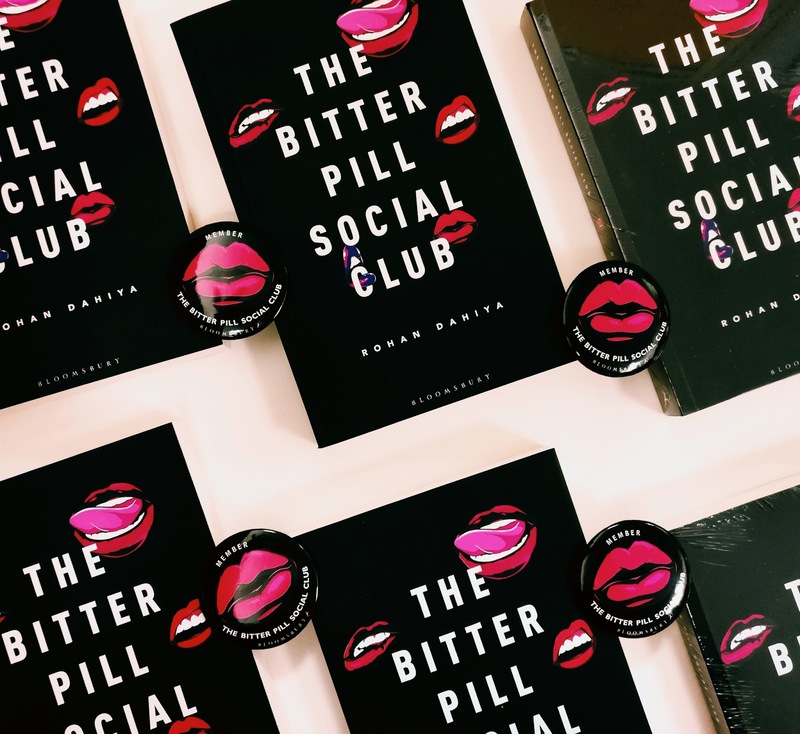 It was such a raw, riotous take on the lives of the rich and Instagram famous in the capital city and I loved it. I did find the actual structure of the book lacking somewhere in the middle, which I will explain down later. I initially thought I knew what this book was about on a basic level, but there were so many twists and curveballs thrown at me that I was amazed. The story didn’t stay static but kept shifting between characters, places and time. I also liked that we had so many varying viewpoints in the Kocchar family and the messed up lives they lead. Honestly, here is where the story got dicey for me. While it started off with a certain amount of flair and grounded-ness (girl gets dumped by ex, reunites with a former flame sort of basic storyline), the structure of the story completely disappeared somewhere in the middle. Months flew by in the blink of eye, a previously depressed girl was suddenly working at a hotel in the mountains and I was just CONFUSED. I love books that show you character growth over time, but I do need some structure inducing elements in the character growth. Even if there was a “three months later” or different chapters for different characters’ viewpoints, it would have felt SO MUCH BETTER STRUCTURED. 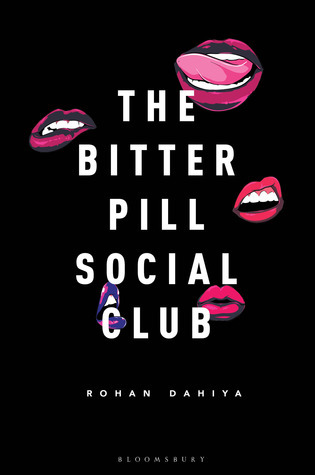 Rohan Dahiya’s writing was the essence of the story. It brought to life, and made believable all the insanity of the everyday lives of the Kocchar family. The story of three generations of this family were closely woven together in this 300 something page book, and filled with enough content to make you laugh and shake your head in adoration. Within the first few chapters, I was quite attached to the Kocchar family and all their, for lack of a better term, insane antics. Parties, flying away to Europe, car rides in the rain and shopping sprees were all an integral part of their daily lives amidst divorces, fake friends, being ghosted and the occasional stabbing of gold-diggers. Sunaina and Surya were perhaps my favourite characters, though I also loved certain parts of Kama’s story and how it was all handled. 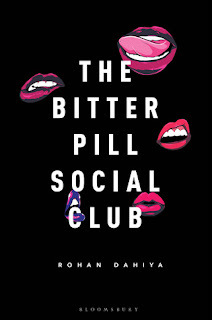 I THOROUGHLY enjoyed Rohan Dahiya’s second novel. 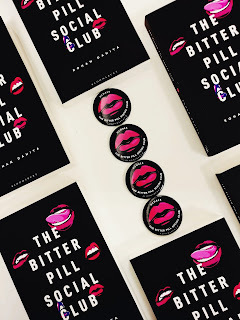 The Bitter Pill Social Club was a hilarious, satirical and slightly insane novel that made me laugh, and those are the best kind of books. 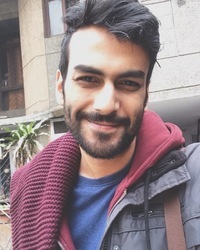 Rohan Dahiya is a writer/visual artist based in Delhi NCR shuffling between café desktops and foldable pool chairs. His first novel Grey Skies was published last year and was well received for its exploration of mental health. On most days he can be found at Chapter 101, an independent bookstore in the city with a coffee cup not too far from reach. He derives inspiration from music recommendations, bad dreams, and the people he meets while traveling through the country. What are some of your favourite books set in India? What are some of the most hilarious books you've ever read?